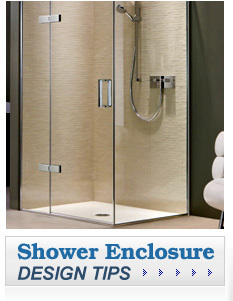 Frameless shower doors are becoming increasingly popular because of the sleek, minimalist look they provide. Whether you are a homeowner or home builder in Marietta, Kennesaw Glass & Mirror can provide you with beautiful frameless glass shower doors that are sure to last. We are glass experts that have been in business since 1987 and are highly skilled at creating custom glass pieces of all kinds for homes and businesses. Our glaziers have an average of 20 years each of industry experience, so you can count on top-quality work. We make our custom glass pieces in house at our local workshop, so you will be able to count on a quick turnaround time. We use state-of-the-art glass that is incredibly strong and will look great year after year. Our highly trained technicians will carefully install your shower door to ensure it functions properly and looks incredible, and will leave a tidy worksite when finished. We stand behind the quality of our work and offer a 100 percent satisfaction guarantee, so we will not consider the job a success until you are completely thrilled with your frameless shower door. 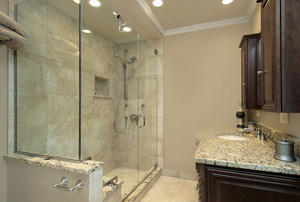 Kennesaw Glass & Mirror can also create a glass enclosure for your entire shower in addition to the shower door, as well as any other glass product your bathroom may need, such as mirrors and shelving. To learn more about the custom frameless shower doors we create for homeowners in the Marietta area, contact Kennesaw Glass & Mirror today.